Xanax (alprazolam) is a benzodiazepine or “benzo” used to treat certain types of anxiety disorder. 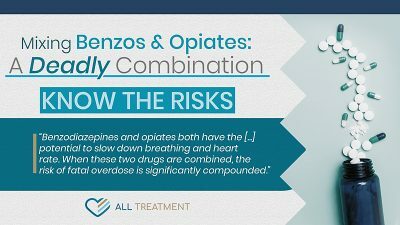 It is one of the most popular types of benzos and, at one point very recently, was the most commonly prescribed medication in the world. Data from the Centers for Disease Control and Prevention (CDC) indicates that Xanax and other benzos are involved in over a third of all drug overdose deaths per year. This drug is extremely addictive. An estimated five percent of the United States population takes this drug and 10 to 25 percent of those users wind up developing some level of dependency. Over 9,000 Americans succumbed to Xanax overdose in 2015, representing a 500 percent increase since 2000. The legal regulation of Xanax and other prescription drugs sometimes blurs the lines between what is acceptable use and what is abuse. This lack of clarity can make it hard for users and their loved ones to identify a problem early enough to proactively intervene. One of the clearest and most immediate indicators of dependency is the advent of physical and psychological Xanax withdrawal symptoms. Withdrawal means the body and brain have become tolerant of the drug and reacts harshly when they’re deprived of their regular supply. Symptoms can range from mild to severe, depending on the scope and severity of users’ history, and require some level of medical intervention. Users experience mild withdrawal symptoms should talk to their prescribing physician to adjust or cease their use, whereas users with severe withdrawal symptoms may require professional intervention and treatment. Xanax is a highly addictive central nervous system depressant that slows down heart rate and breathing. Physical withdrawal symptoms can manifest after only a few hours from the last cycle of use. A powerful anti-anxiety medication, Xanax can also yield a variety of serious psychological symptoms, including depression, anxiety, paranoia, panic attacks, hallucinations, psychosis, extreme irritability and aggression and much more. Serious withdrawal can lead to seizures and coma. Xanax is particularly dangerous when mixed with alcohol. Xanax withdrawal symptoms manifest over the course of three stages: early, acute and protracted. Early symptoms often occur about six to 12 hours after the last dose. These symptoms last for a few days and are immediately followed by the acute stage which usually lasts for about one to two weeks. The acute stage of withdrawal represents the worst of the symptoms; however, patients may require medical assistance on an ongoing basis to address the linger withdrawal symptoms like pain, discomfort and nausea. Physicians may recommend over-the-counter medications and other means to address these long-term issues as patients move forward. 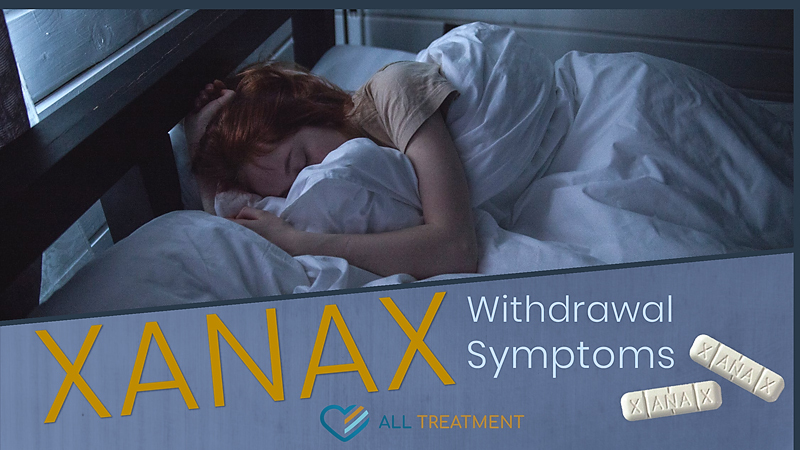 Patients in the early stages of withdrawal may be able to cease Xanax use on their own with limited guidance from their physician; however, those who engage in prolonged and untreated abuse will likely need professional detox and withdrawal management. Medical detox offers the benefit of experienced and qualified doctors and nurses as well as a clean, discreet and supportive environment. Patients who endeavor to weather their Xanax withdrawal symptoms on their own often wind up relapsing because of the physical and emotional challenges of the process. In most cases, professional help is recommended. If you or someone you care about is experiencing physical or psychological Xanax withdrawal symptoms, talk to your physician or call one of our Xanax withdrawal specialists to get help. The longer you wait, the more dependent your body will become and the worse withdrawal s likely to be. Don’t let Xanax use turn into addiction.